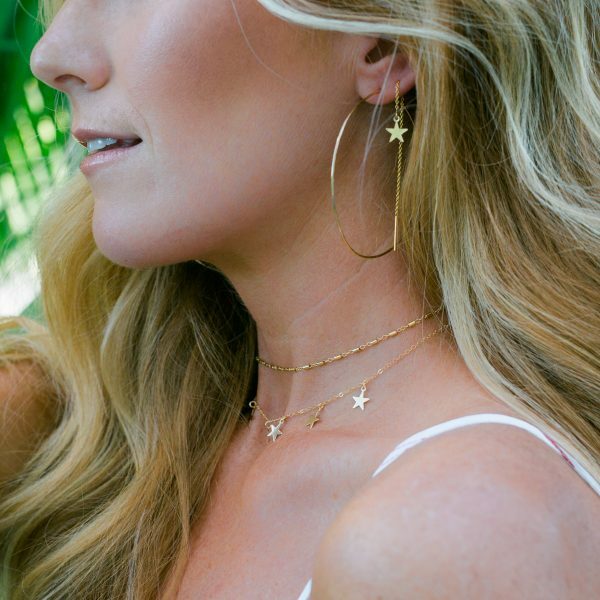 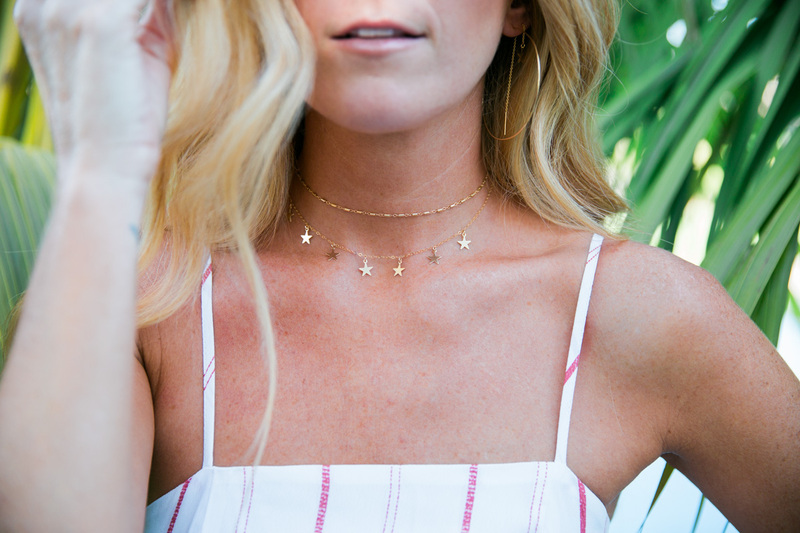 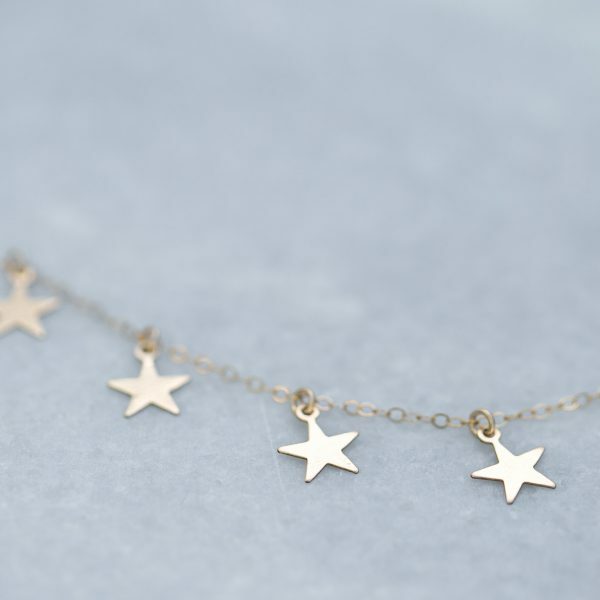 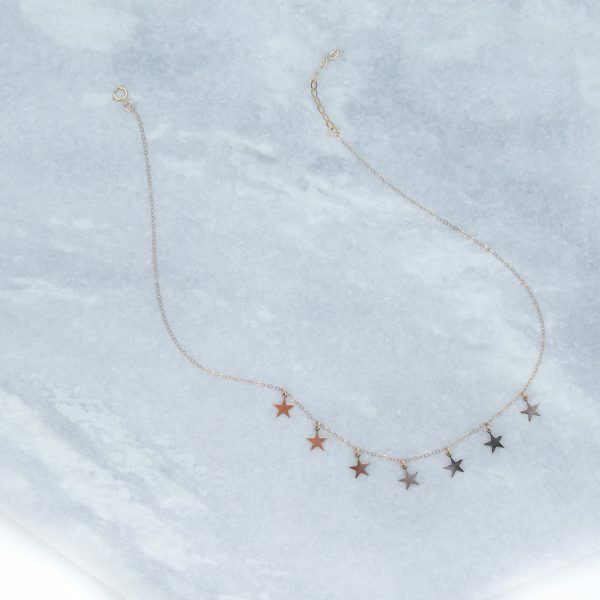 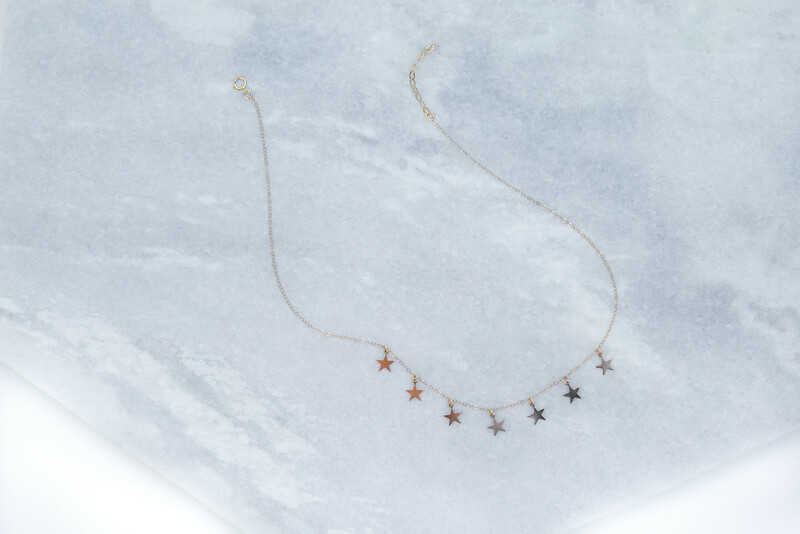 The Stardust necklace features 7 delicate stars that hang in succession. 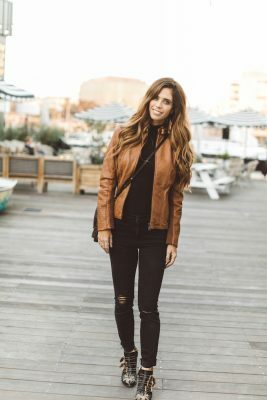 Handmade with love in California. 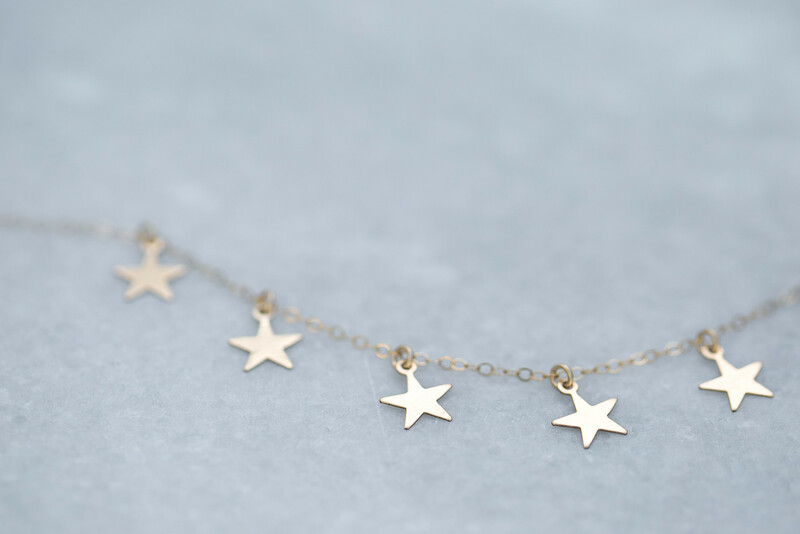 – High quality 14 KT gold fill.